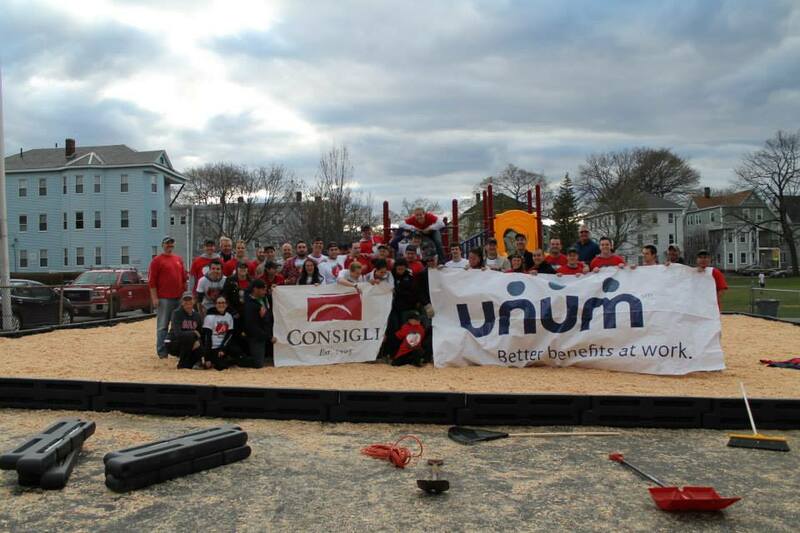 With the immense support of Unum Insurance Company, the Elm Park Community School received a brand new playground area on April 25th. 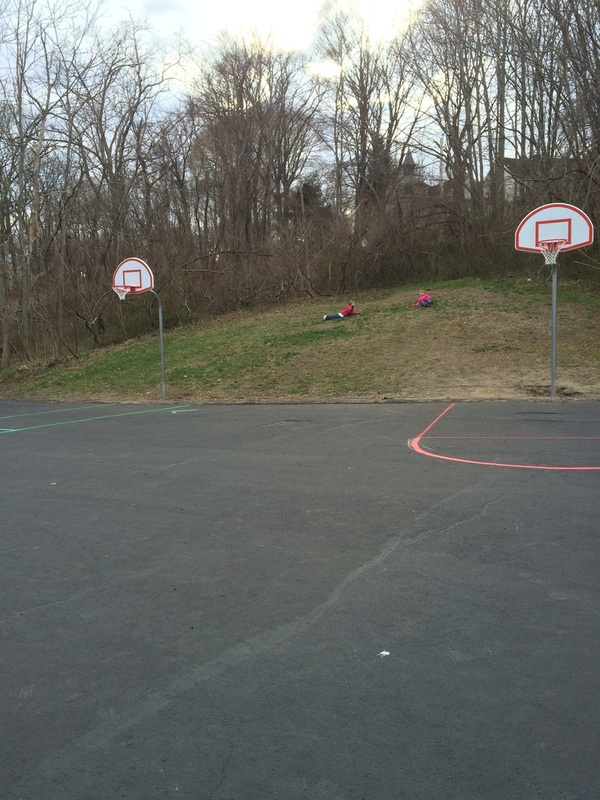 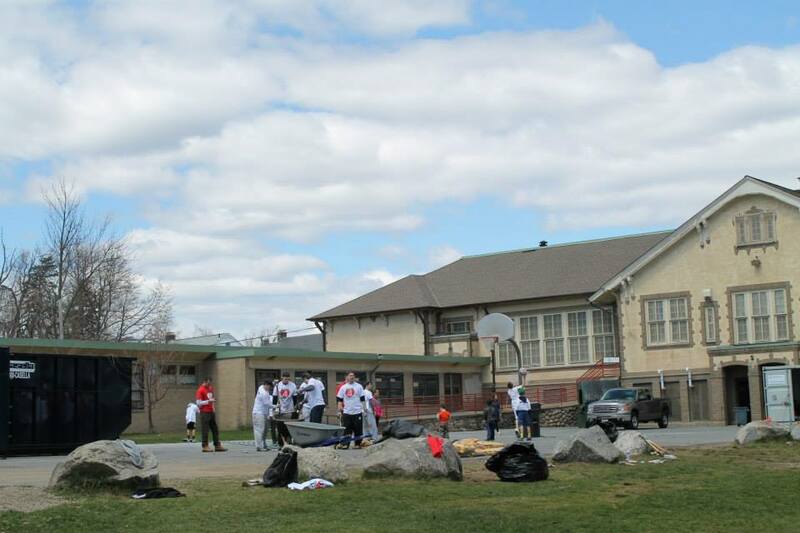 This public elementary school, located just north of the DCU center, had no outdoor playground structures--only a basketball court and open field were utilized for recess. Corporate and college volunteers alike came together to install a new playground and geodome, paint a new basketball court, and landscape the entire school grounds. 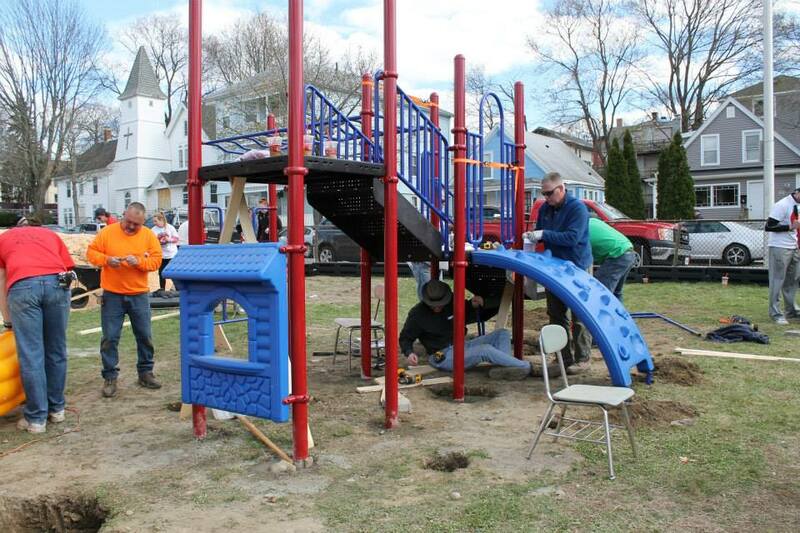 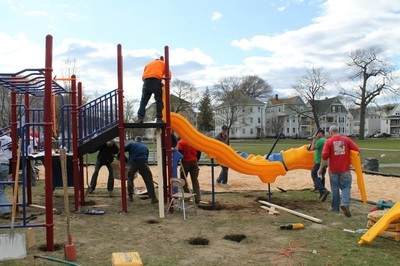 Together, Working for Worcester and Unum helped transform this school and provide a safe and inspiring new play area for the families and children of the Elm Park area. 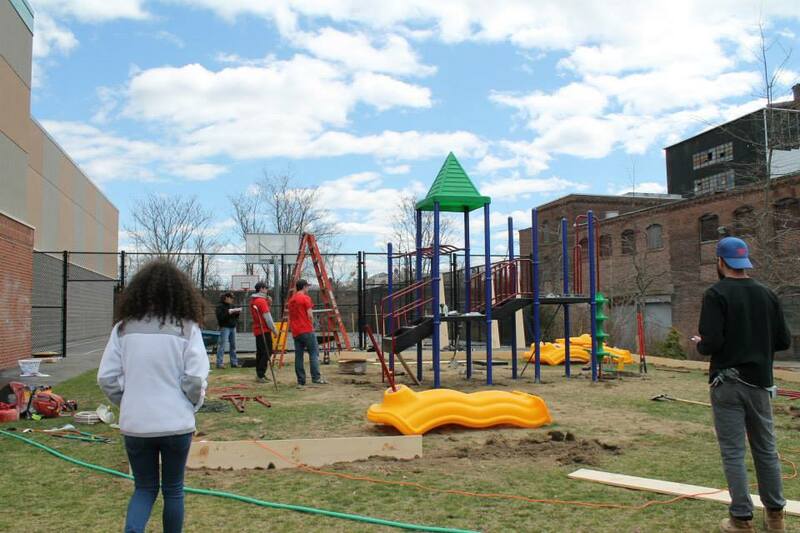 Following a very successful project in 2014, Working for Worcester again partnered with the Boys and Girls Club of Worcester. 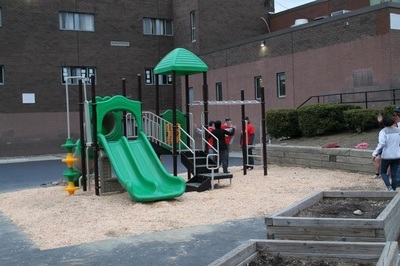 This year, the task was to build a full playground at the headquarters, to be utilized by the hundreds of kids that pass through the doors of the Club. 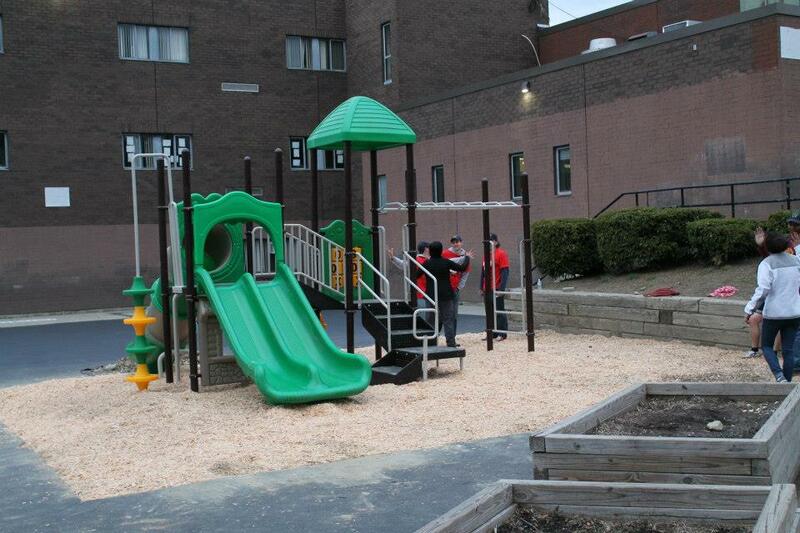 On April 25th, that vision became a reality, thanks to generous financial support from Saint Gobain and other donors. Volunteers from WPI, Holy Cross, Saint Gobain, and the Boys and Girls Club came together to build the first ever playground at the Club! 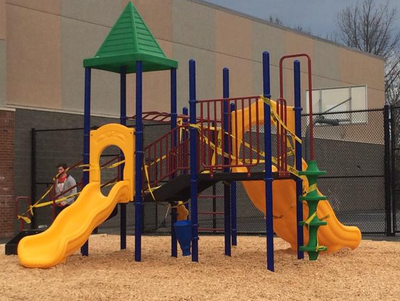 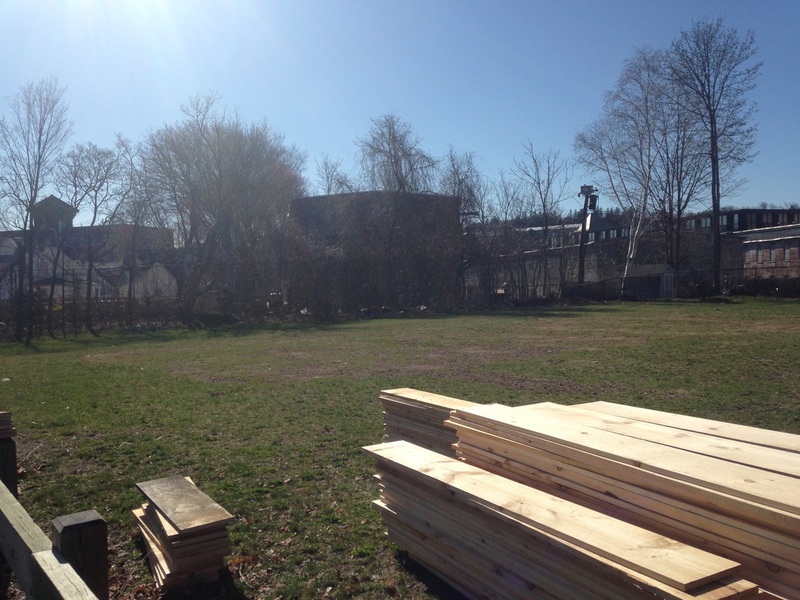 This playground will be a springboard for the Boys and Girls Club as they strive to develop stronger PE activities! The Assumption and Holy Cross Men's Basketball teams both put their athleticism to the test to transform this Worcester public school. 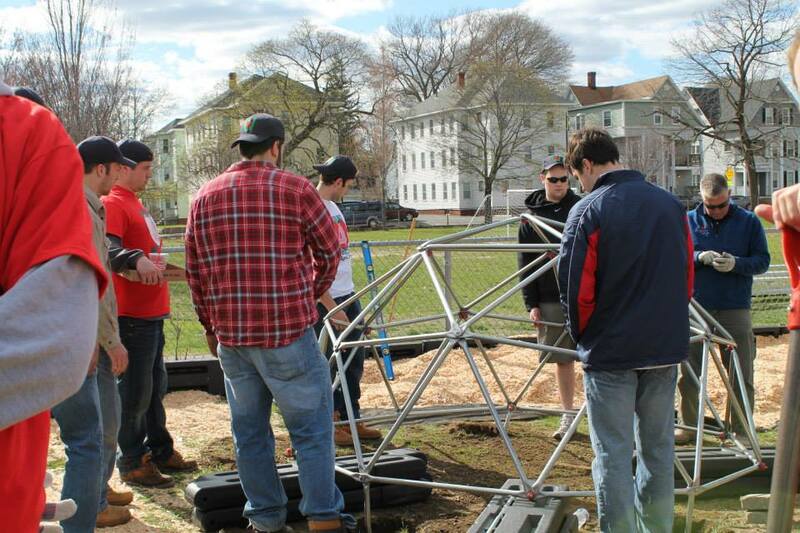 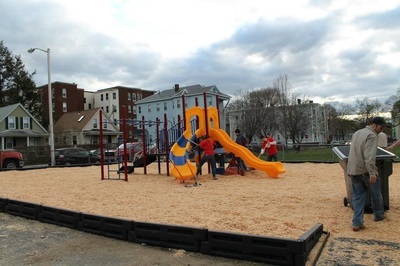 The May Street School, located across the street from Worcester State University, received several new recreational structures, including a new basketball hoop, a football field, soccer goals, two benches, and playground mulch for the recess area. 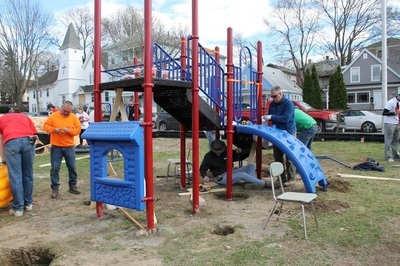 The hard-working volunteers helped provide several new recreational options for the kids and families of the surrounding area. 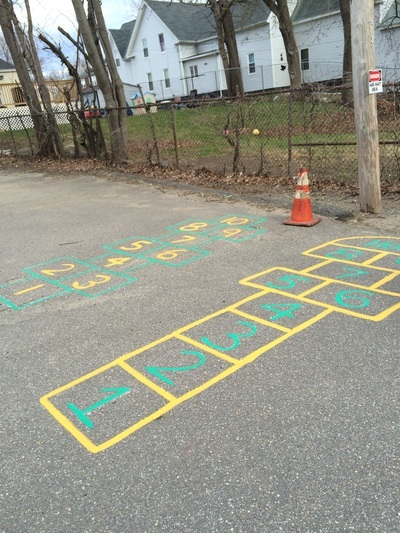 Located just off Chandler St. in the Main Middle neighborhood of Worcester, Chandler Elementary Community School previously lacked fun and safe areas for play. The 480 students, grades K-6, recreated on a poorly paved blacktop space that functioned as both the recess area and the faculty parking lot. Working for Worcester’s task was straightforward: to build the first ever play space for the students. 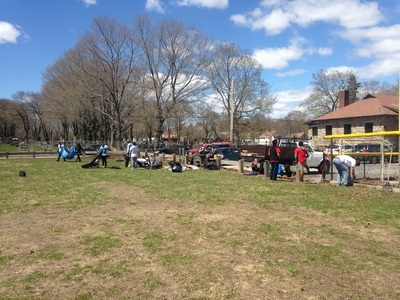 On April 25th, that became a reality! 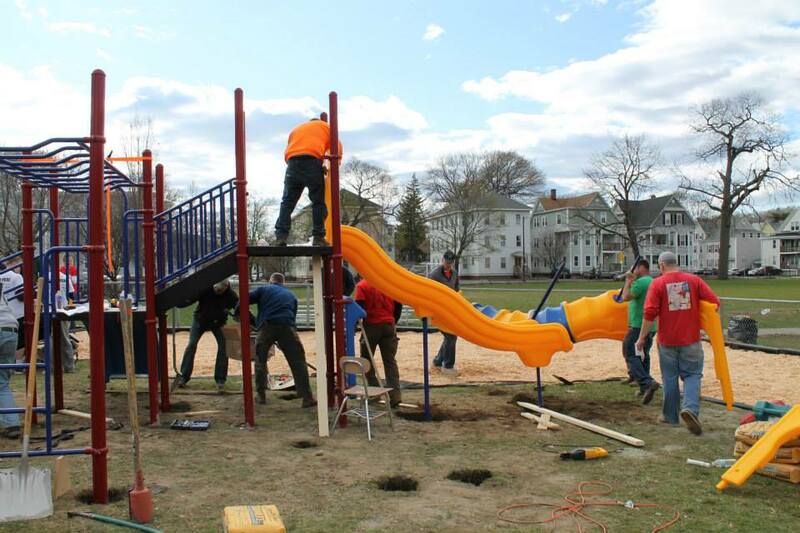 Working for Worcester, in collaboration with AbbVie, tore up the asphalt, flattened out the land, and constructed a full playground, in a single day! 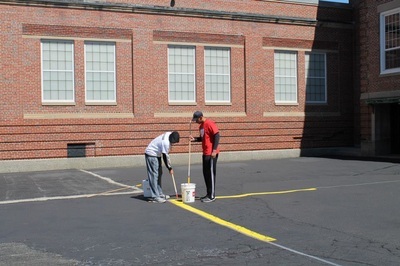 The Columbus Park Prep School is one of the most diverse schools in Worcester, with over six languages spoken in the classrooms, but recreation can break down all language barriers. 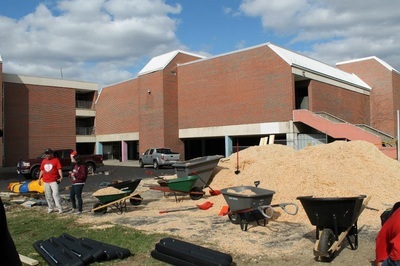 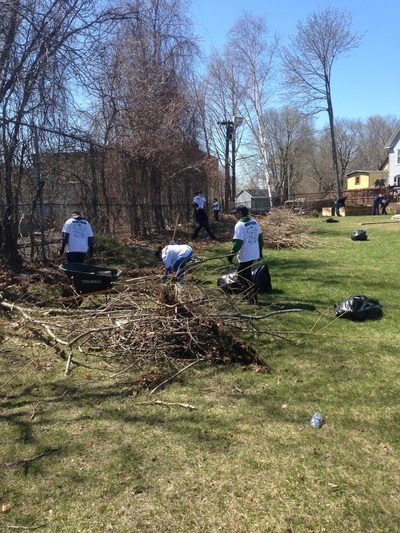 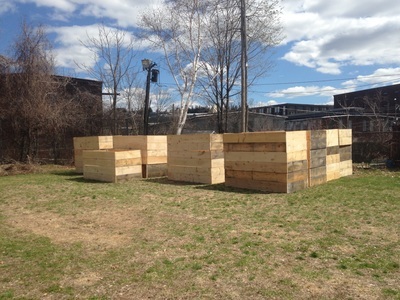 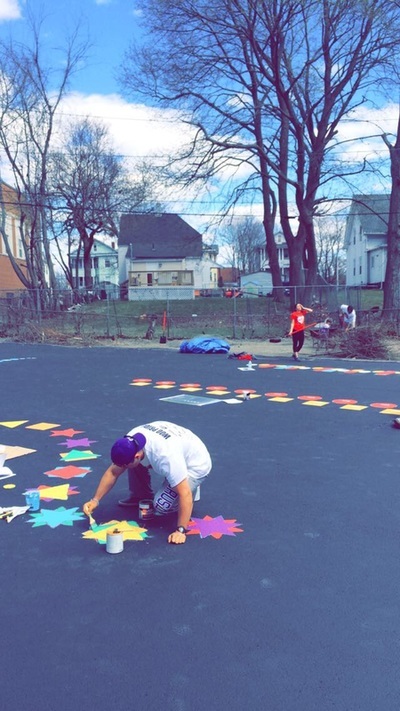 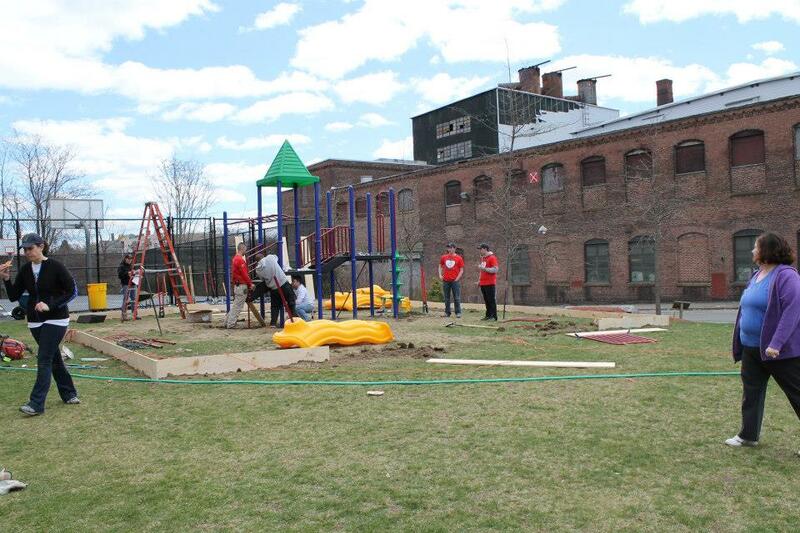 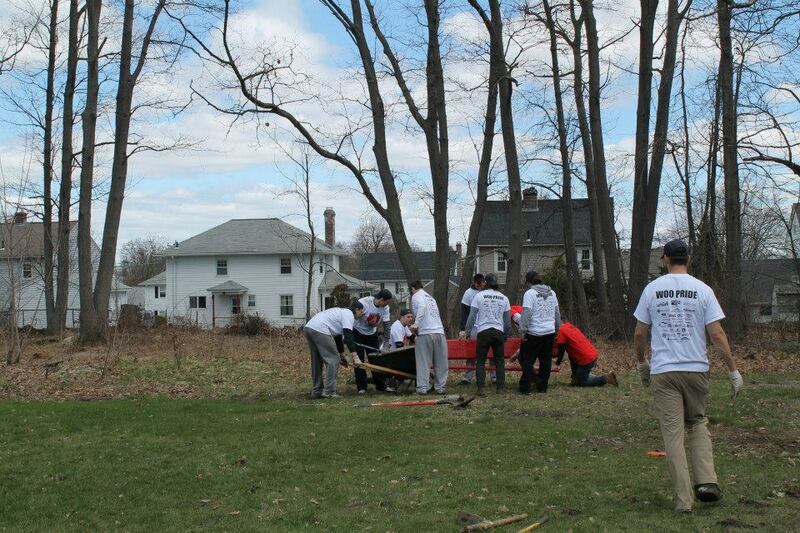 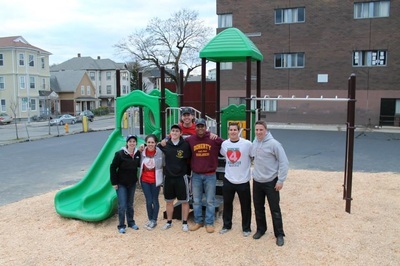 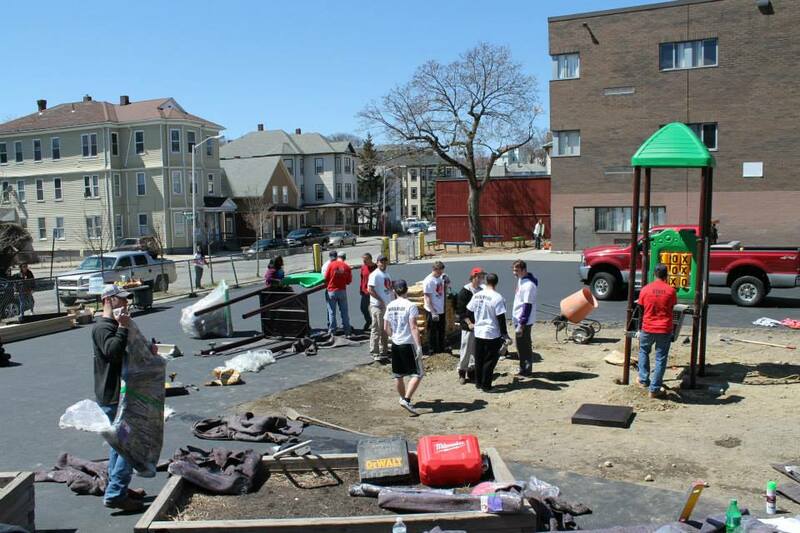 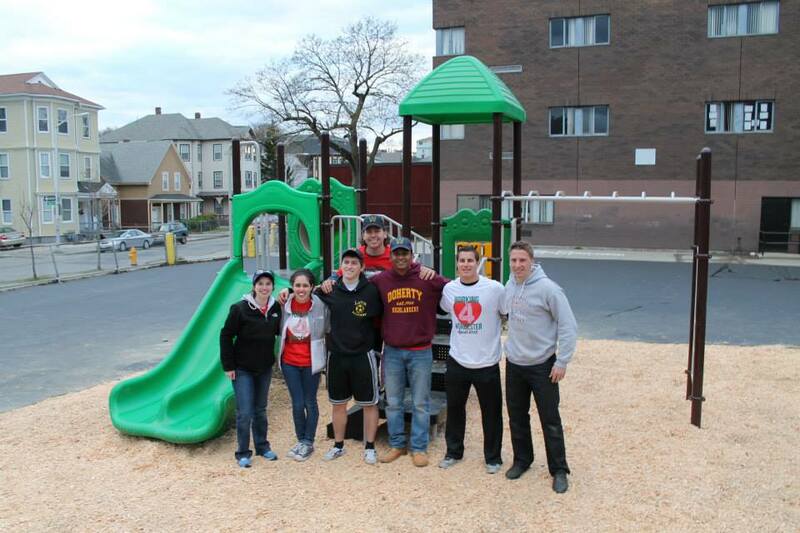 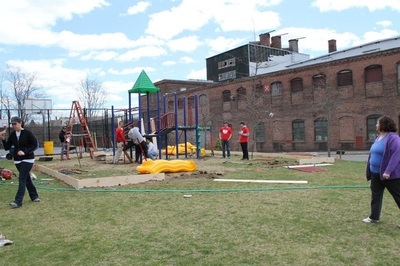 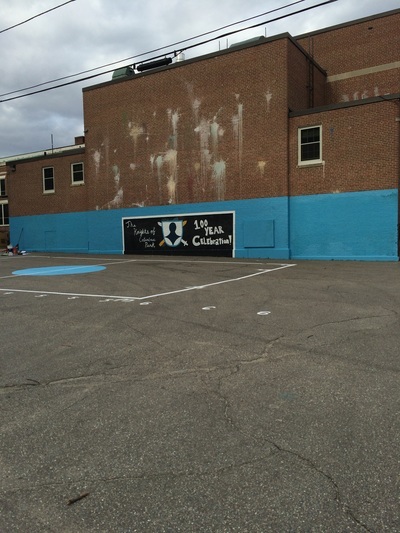 With the help of local families volunteering alongside college students on April 25th, Working for Worcester was able to transform their outdoor parking lot into an active learning area. 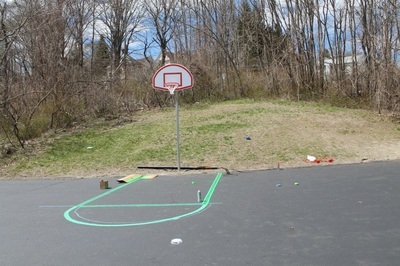 This space now has several hopscotches, two new basketball hoops, a school-themed mural, and sidewalk math--an integrative learning experience that combines counting and addition with exercise. The kids of the Coes Pond area can exercise their minds and bodies in this new recreation space. 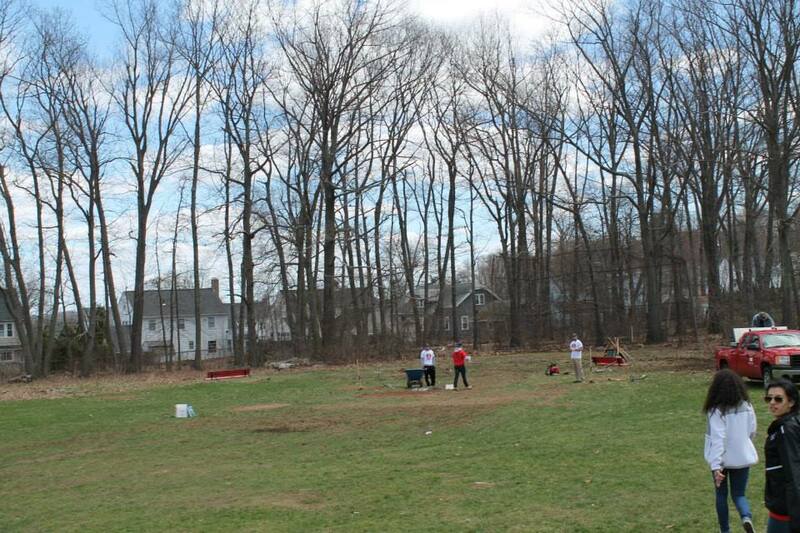 After a labor-intensive few hours, a previously under-utilized field at Thorndyke Rd. 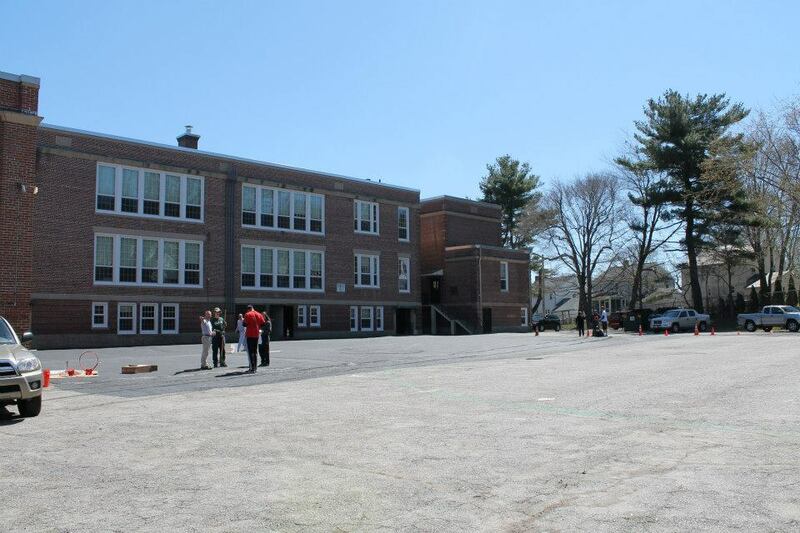 Elementary School has now been transformed into a mini-baseball field. Volunteers from Assumption, Holy Cross, National Grid, and the local community came together to dig out a baseball field, complete with a pitcher's mound, home plate, bases, and lines. 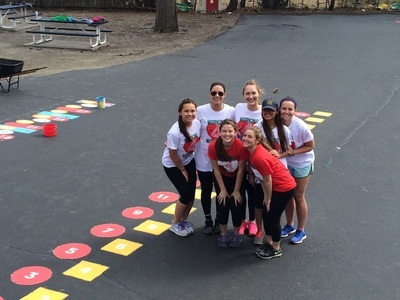 After the field was built, volunteers installed bright red home team and away team benches so that students can play organized kick ball and whiffle ball games! 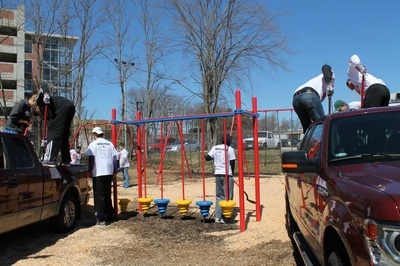 We completed other small projects, including painting new picnic benches and installing two new soccer goals. 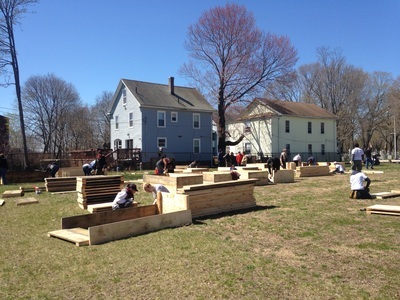 Located adjacent ﻿to the South Worcester Industrial Park near Clark University, Nuestro Huerto is a volunteer-based community garden. 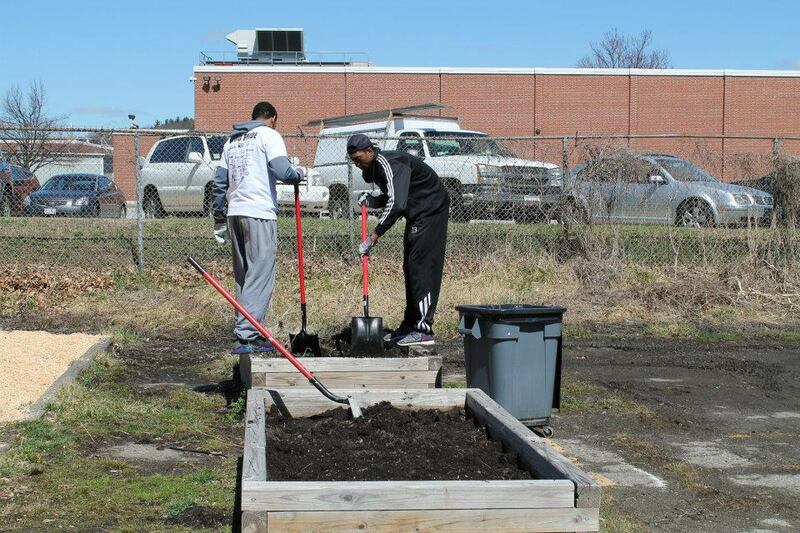 They supply fruits, vegetables, spices, and more to local families as well as to local businesses in Worcester. 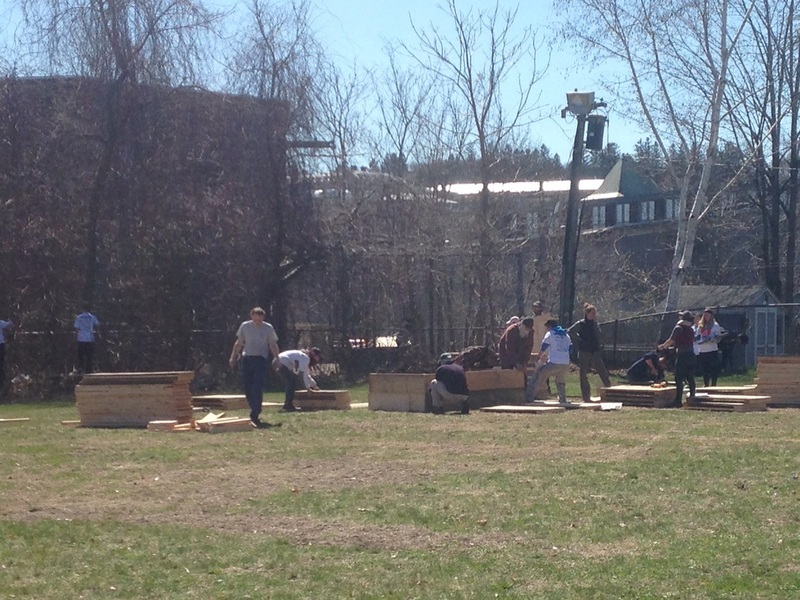 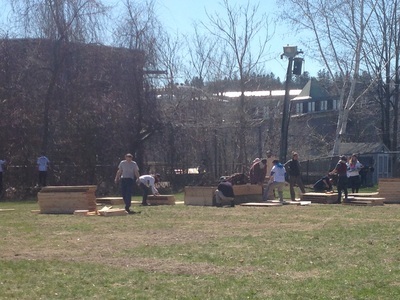 With the diligent effort of hundreds of selfless volunteers on April 25th, 50 garden boxes were built! 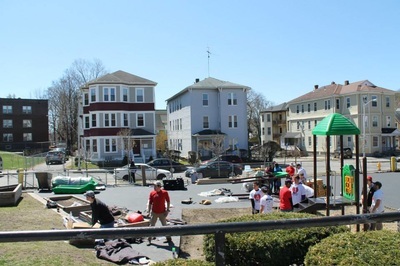 Working for Worcester volunteers also cleaned and raked the surrounding area so that all the new boxes would fit properly. These new garden boxes will help Nuestro Huerto supply fresh produce to Worcester families for years to come and continue Nuestro Huerto's sustainability efforts.